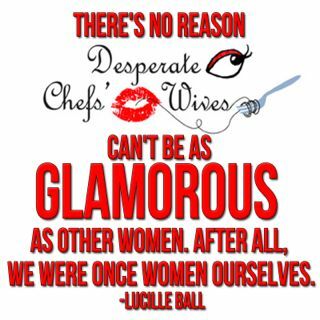 Desperate Chefs' Wives: This Isn't What I Ordered! CIA Graduation 2004. Erik and his father, Greg. So this leads me into a state of curiosity. What do Erik's parents think of his profession? I know what MY parents think. My mom sweats Jean-Georges and is grateful for the opportunities he's given us. She stole the New York magazine that featured a handsome Jean-Georges flaunting a giant red lobster on his shoulder from her dentist. My father...well he thinks cooking is fine but that it doesn't matter where you work. He's tried to convince Erik to open a restaurant in small-town-Ohio. Nothing is wrong with small town-but things like "duck" and "sushi" don't even fly there. But as far as Erik's parent's go I don't REALLY know what they think. They support him and take an interest in his cooking. But would they rather see him making more money and coming home at 5 PM? Probably not. Have your parents or you chef's parents accepted his profession? Did he "turn out" the way they wanted him to? Better? What a great topic. My boyfriend's father was not happy at first with his chosen career, but has grown to accept and love it. His mother is immensely proud of him - always was, and always will be. 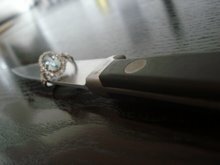 The only thing that you neglected to ask was how the chefwife PARENTS reacted when they found out that she (we) wanted to be attached to a chef. The guy who is NOT making as much money as he should be, who has to work holidays and weeknights, who is coming home every night at 1 am from work, who can't always 'be' there. My super traditional parents have always imagined that I would end up with a doctor/lawyer/accountant, a man with a stable, conventional, 9-5 kind of career. They feel that is who I should be with, because of my own law career. So they are not supportive of my relationship with my chef, because they don't see all the great stuff about his career, or about HIM as an individual. We don't talk too much (if at all) about our relationship because it's such a touchy subject. And it is frustrating. oops, sorry. I just realized you HAD mentioned the chefwife parents. My bad!!! My husband is paranoid about my parents' feelings toward his career. He always says things like, "They wish you had married a lawyer, right?" This is soo far from the truth - they are so proud to say that their son-in-law has been on the food network and is a chef in NEW YORK CITY - but he feels like he is a disappointment to them. Cheers to your Mom! I have that issue. Didn't JG's father think he was a 'good for nothing' when he wouldn't complete engineering school? I think these parents in the TONY article were just shocked at how successful they turned out. It's interesting how when some of the guys took home economics in high school and were in the kitchen cooking...they were brutally teased by their macho peers...and now look what you can do with the profession and how far you can go! Parents on both sides are very supportive. He's shown from the beginning that he's very talented and he's got what it takes to make it. My parents never blinked an eye when I brought home a chef! As a chef's mom, I can truthfully say that I was concerned when my son wanted to go to culinary school. I suspected the hours were long and grueling, and that he would be expected to work evenings, holidays and weekends. I was afraid that a schedule like that would be hard on a relationship or a family. However, I wanted to support him and I also believed he should do what he really wanted to do. As a parent I want more than anything for my son (and his chefwife) to be happy, fullfilled, challenged (just enough)and enjoy as much of their life's experience as possible. It's not what my son does for a living but more of does whatever he's doing fullfill him? By the way, I'm very proud of the man he's become and the woman his chefwife has become. Thank's e's M. Those words were really touching. I'm proud of him, too. My dad HATED that I wanted to be a chef. He's very typical traditional asian and feels like cooking is a low class job. He keeps asking me why I would want to cook in a hot kitchen if I could go to college and be something more "professional", make more money, and live a life that isn't as grueling. He's ashamed that his daughter, who has more opportunities then he had, would chose to do something her grandfather had to do because he was an immigrant with no education and money. So it is definitely really hard. It's nice that chefs now are getting the recognition that they all deserve. From chefs like JG to the ones who work at the local take out joint. Melia - I wrestle with some of the same issues. I'm also an attorney coming from a family who assumed, or at least hoped, that I'd end up with a fellow professional. My husband, instead, is a restaurant manager/owner. While he has creative talents that he uses very uniquely in his business, there isn't the "artist" factor that comes into play with chefs. This is relevant because, since we started dating, he swore to me he was looking to get out of the business and knows he'd be burnt out by 30. And we both talked about how all the restaurateurs we know are on multiple marriages and their kids are all screwed up. But guess what: he's turning 30 next month, and there is no end in sight. When the families talk about a possible career change for him, sometimes to see who can get him a job doing something else, the sentiment always ends up being: "Oh but it would be such a shame to see him in a desk job. He just loves running restaurants. He's not the desk job type." Hmmm. Funny, I was a classical musician and gave up a budding career to go to law school because I wanted to have a family and health insurance - not because I'm the "desk-job type," TRUST me. So it's fine for me to make the majority of the income here and have no time for music, while he enjoys a glass of wine with friends as he closes up at 1 a.m. and accidentally wakes me up when have to be up and thinking on my feet 5 hours later. And he is extremely curtious as a person, so this is totallky situational. And don't get me started on how his whole family thinks a mother needs to be primarily responsible for an infant... Thankfully, he claims to understand that if I am to keep my job, I will nto be able to do all the baby all-nighters like his brother's wife does. It will be interesting to see how the balance plays out. But I see my future as being the equivalent single-working-motherhood. You NEED to have these talks with your boyfriend if you think you are headed toward marriage - kids or no kids. Sorry this was so long and a bit negative. I think it's really important to air these issues - especially for you girls who aren't married yet. It's OK if you feel that you're not cut out for it- be honest with yourself and him. Some of us need more from our husbands than others. Hilary is amazingly patient and positive - and i literally look up to her. oh yes, a good subjetc to talk about. My boyfriend's parents are really proud of him, he is the only one in the extended family who left the small town, travelled the world, built a successful career away from home. they have always been very supportive. Lately, the tone has changed a bit, as we have been a couple for more than five years now, and they started to hope for us to have kids, settle down.. as everyone else is around them that is our age. I have a (non hospitality) career that i love and feel passionate about too. At the moment, i don't mind a lot of time to myself as I can fill it with hobbies and seeing friends. The prospect of being home alone every night with a kid to look after terrifies me, and I am not keen to get pushy on the subject.. 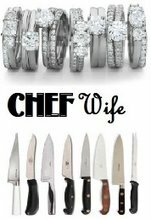 It is hard for them to understand that starting a family and settling down is not an easy thing to do with a chef BF. His parents probably hope that I would just get on with it and be a supportive girlfriend. Hilary, thanks for your feedback! J. asked me to add your blog to my "sources." Is that alright with you? On this topic of parental approval/disapproval/indifference, I'm impressed at Erik's parents' acceptance of his profession considering his background, where being a doctor or a lawyer are usually the only respectable options. He must have some pretty cool parents. My parents have been surprisingly supportive. I think my mom is just happy now that there's proof I won't go hungry without her around to feed me. When I first met my chef, my parents adored the idea that he was a chef. Eventually, as is the nature of having a chef in the family, my parents (especially Dad) began to feel "guilty" (his word) for eating out. He would be having dinner at 8 pm on a Tuesday and know that the chef, servers, and all the staff probably had families at home missing them. Of course, he still eats out (!) but at times really loathes the hospitality industry. Chef's parents are completely clueless. Despite that fact that my chef has been a chef since he was 20, they don't really get what he does and seriously do not understand why we don't go to visit more often...they can't accept that he never gets a full weekend off. They have suggested, too, that he take a job at a restaurant near them...you know, one of those, "My friend knows someone who owns a restaurant," things. And then it turns out the restaurant is some dopey chain that serves dreadful food. To them, one meal is as good as the rest sometimes and while they try to appreciated their son's creativity, they don't really get it or care for more gourmet food. Ah....the life of a DCW, huh?